Melania Trump rolled out a First-Lady policy initiative today. She says she’s focusing on cyberbullying. It is, of course, a hilariously ironic focus for a woman whose husband, courtesy of his Twitter feed, is the Cyberbully-in-chief. Some observers—who may know the otherwise publicly inscrutable Melania Trump better than the rest of us—are calling it a not-so-subtle slap at Donald Trump by a First Lady who is fed up and who may actually have a vicious sense of humor, when it comes to her husband. All of the above, or some of the above, may or may not be true. But one clear truth that has emerged is that Melania Trump’s program is not an original initiative. In fact, it is a blatant act of plagiarism. According to Vice, Melania Trump’s new “Be Best” pamphlet was first published during the Obama administration. 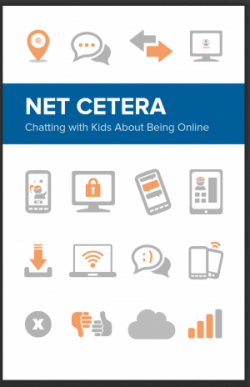 The White House credits Melania and the Federal Trade Commission as the authors of a new booklet called “Talking with Kids about Being Online” that accompanied the announcement. It’s just a part of Melania’s just-unveiled initiative, which focuses on well-being, opioid abuse, and positivity on social media. But it’s also, as BuzzFeed’s Ryan Mac pointed out on Twitter, almost identical to one the FTC published way back in 2014. 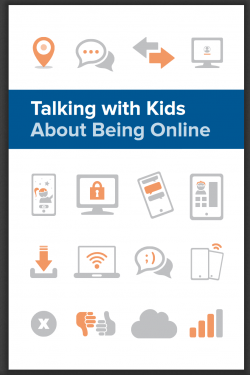 From its distinctive blue-and-orange graphic design scheme to its tips on properly reporting phishing scams, Melania’s booklet matches almost entirely word-for-word the FTC’s 2014 pamphlet. Nat Wood, the FTC’s associate director for consumer and business education, told VICE News that a version of the pamphlet has been in circulation since 2009. He said that Melania authored a letter at the top of the pamphlet. The incident also bears a substantial similarity to a previous scandal that arose after Melania gave a speech before the Republican National Convention plagiarizing a speech the former first lady Michelle Obama gave to Democrats in 2008. Compare the pamphlets for yourself. Here is the 2014 version. Here’s the 2018 version. Plagiarizing from the administration you consider your arch-enemy is the ultimate irony. But if they’re going do it, we’d all probably be better off if they copied Obama policies more often. And, by the way, take a look at Melania’s signature on the letter she “wrote” for the 2018 version. Notice any stylistic similarities to the Sharpie signature of anyone else?